1) Christmas bargains. 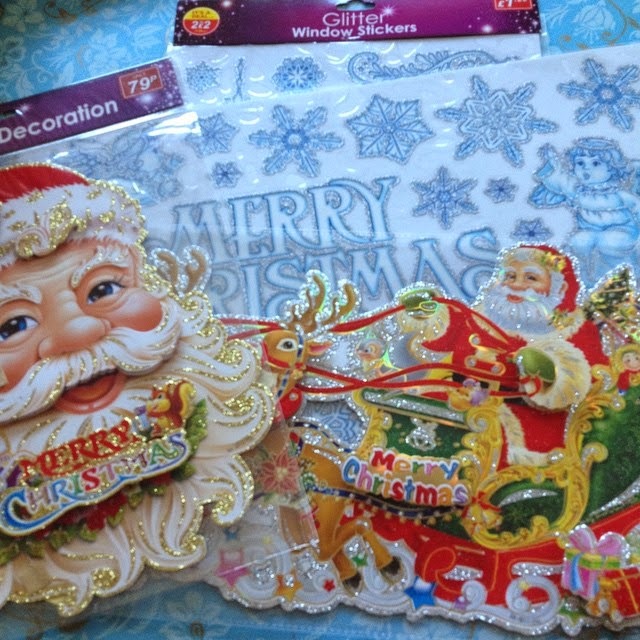 The Santa ones remind me of the kind of decorations we had when I was younger, I just had to get them! I hope you find your missing book soon. I love a good look through charity shops for books. I hate having an alarm so really love switching it off! Argh I *hate* seeing Christmas stuff before hallowe'en is out of the way! I love Autumn and yet every year it's rushed to make way for Christmas – and this year stores are showing no restraint! PMSL. You wouldn't last 2 minutes in this house. I'm surrounded by Christmas freaks!! !